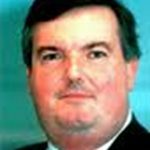 David Kingston has spent his working life in insurance, investment and pensions. Originally from Co. Derry, he went to university in England and qualified as an actuary in Scotland before moving to Dublin in 1968. He has a special interest in equality, particularly equality of opportunity. 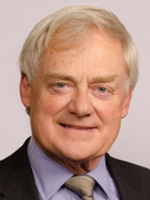 He has been a Trustee of the Katharine Howard Foundation since 1998 and held the position of Chair since 2004. Kieran Bristow has worked his entire career in Financial Services including General Insurance, Life Assurance, Investment Management and as a Bank Treasurer. He has been a Trustee representative on a school board with specific responsibility for Finance. Kieran became a Trustee of the Katharine Howard Foundation in May 2012. He is also a member of the Finance and Investment sub-committee. 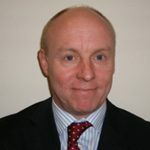 Dermot McCarthy is a former civil servant who worked in a range of government departments and was involved in a variety of areas of policy development and coordination, including anti-poverty strategy and local development. He has long been involved in voluntary and community organisations and serves on the boards of a number of voluntary and charitable bodies. Dermot became a Trustee of the Katharine Howard Foundation in February 2013. He is also a member of the Implementation sub-committee. Maura is from County Wexford and trained as a nurse in the Mater Hospital, Dublin. 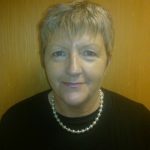 She has worked for the Health Service Executive and Túsla (Child and Family Agency) for the past 36 years (she recently retired from Túsla at the end of 2015). She was employed as a Public Health Nurse in New Ross Health Centre for 10 years and was appointed as Preschool Services Officer in 1995. During the past number of years, she has completed a BSc. Honours in Psychology and an MA (Ed) in Lifelong Learning. She has been involved with many voluntary and statutory agencies in the development of Preschool services in county Wexford and was a former board member of Wexford County Childcare Committee. She is passionate about the needs and rights of children and their families and the promotion of excellent standards of care and education for preschool children. Willie Holmes, an Actuary by profession, has spent his working life in insurance, investment and pensions. He is a recent Past President of the LIA, which provides training to the financial services industry; and is currently a Director of the Financial Planning Standards Board Ireland. 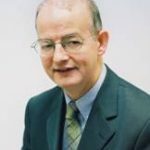 He is a former chairman of Celbridge GAA Club; joint founder of the Fr John Nevin Scholarship Fund for Pakistan; and is currently chairman of the Maynooth Parish Finance Committee. He became a Trustee of the Katharine Howard Foundation in 2017. He is also a member of the Finance and Investment sub-committee. Prior to her retirement, Jane worked as a Programme Executive for the Children and Youth Programme with The Atlantic Philanthropies. 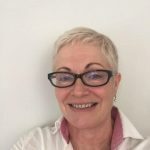 Jane has a background in vocational training and education and has fulfilled several senior management roles including operations management, programme development and business development with the Rehab Group and FAS. She spent ten years as Chairperson of the Tallaght Partnership and has significant board experience in the community and voluntary sector. She holds an MA from St Andrew’s University, an MBA from The Open University and an IoD Diploma in Company Direction. She became a Trustee of the Katharine Howard Foundation in 2018.